If you're looking for positives, it does seem like the susceptibility to randomly being thrashed – by anyone, including promoted fodder – seems to have been cauterized. It was a two-year trend and we've just had an unusually tough string of fixtures in order to test it. Even if other aspects aren't happening fast enough, that's progress. It helps having half a side who can be relied upon to nearly always take the right option – I'd put Rice, Snodgrass, Zabaleta, and Diop in that category, with Fabianski (marked down only for his regularly squiffy distribution) and Balbuena not far behind. Only one of those six players was a regular starter last season. We have no attcking creativity from central attacking positions (aka lanzini) so we find ourselves constantly spreading it left and right, which we do well but with a lot of unsuccessful crosses. For all of arnies strengths im not sure he's known for his heading ability. We might have been better off putting Anderson in the no10 role when he was struggling out wide and then put Antonio there. Hurry up lanzini, we miss you buddy. bubbles1966 wrote: Arnautovic is not the issue - he scores, creates or threatens every game - it's the absence of anything else. Balbuena and Diop miss clear opportunities from set plays almost every game, while Anderson, Snodgrass, Noble, Obiang, Antonio etc have scored how many? In a 4-2-3-1 or 4-3-3, the support attackers have to score goals. They (Yarmolenko excepted) are failing presently. The one cop-out clause is the standard of opposition so far, but I'm not sure that really holds. None of them are delivering to the level that Payet, Lanzini and Ayew did in terms of goals. He isn't an issue but playing him as an out and out striker is IMHO. He comes deep a lot to seek out the ball and then no one is in the box, he strays offside a fair amount and his instinct and finishing in the box itself isn't as good as an out and out striker. richneal wrote: Would be nice to buy a player who can take a corner. Snodder's corners were bang on, but no one got a proper header in. Although no one has mentioned on here, wasn't there goal a touch offside, not seen any inline replays. Morning mate, completely unrelated to WHU but looking at your user name I'm making some big assumptions! have you ever taken the water plane from Hanoi to Halong Bay? Was wondering what its like, my missus does not like flying!! I can't use this message thing to do this privately so apologies to everyone else especially UTJ, I seem to be able to read messages but not create them? Rasp wrote: Although no one has mentioned on here, wasn't there goal a touch offside, not seen any inline replays. Kane certainly was, and arguably restricting Fab's view, but Lamela runs from quite deep to get on the cross. Crouchend_Hammer wrote: We have eight games against bottom eight coming up so get our best finisher on the pitch. Arsenal have managed to use aubeyamang and lacazette together with aubeyamang playing a bit wider and we can with arnie and hernandez. Arnie can still wreak havoc playing a bit wider and deeper and we saw in the last 25 mins how well they can link up together. 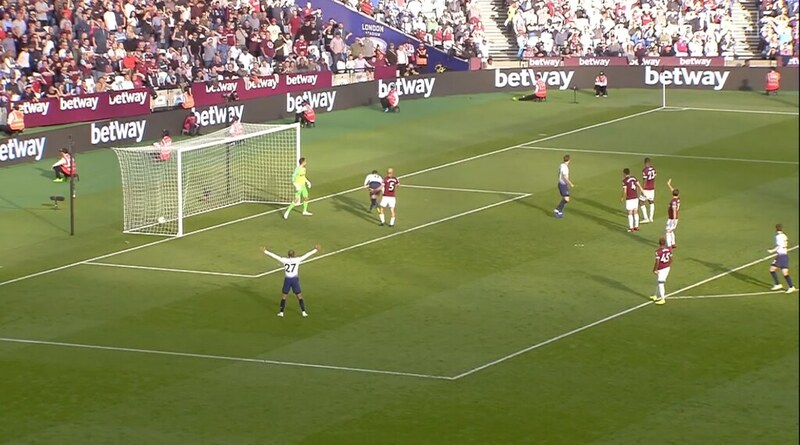 Our two best moves - the offside goal ad Lloris's wonder save from Arnie in injury time - both created by snappy interchanges between Arnie and Hernandez, I'd definitely give them a go at creating a partnership, especially with Yarmo out & Antonio out of favour so the 3 forward line needs a change. There was a brief period last year where Arnie & Lanzini struck up an awesome partnership, definitely worth trying to replicate it. Kane actually leaned backwards for the ball to pass him, how could he not be offside. Overriding feeling is just disappointed. Neither team were that impressive really and I came away feeling like we could have and maybe should have taken something out of that had we taken a chance or two. Their keeper made two or three very good saves and we wasted one or two other opportunities with either poor efforts or a lack of conviction. Back four were superb. Diop in particular is looking like an absolutely top draw player. Rice didn't do a lot wrong again, certainly not out of place against the top teams. Snodgrass put a decent shift in and you could tell that Noble was trying to make things happen. Where we were really let down was out wide. Both Yarmolenko and Anderson were very poor and offered nothing. That in turn makes it so much harder for those around them when they get on the ball and try to play. Our last two home games have shown us the best and worst in Anderson. Gets an early goal and is full of confidence against Man Utd, fluffs three corners gets some stick and goes missing against Spurs. Certainly not the kind of gap between the two clubs that many would have you believe and I have every confidence that we will win the cup game if they come with half a squad. We are going to win the cup game no matter what ****ing squad they bring. COYI. 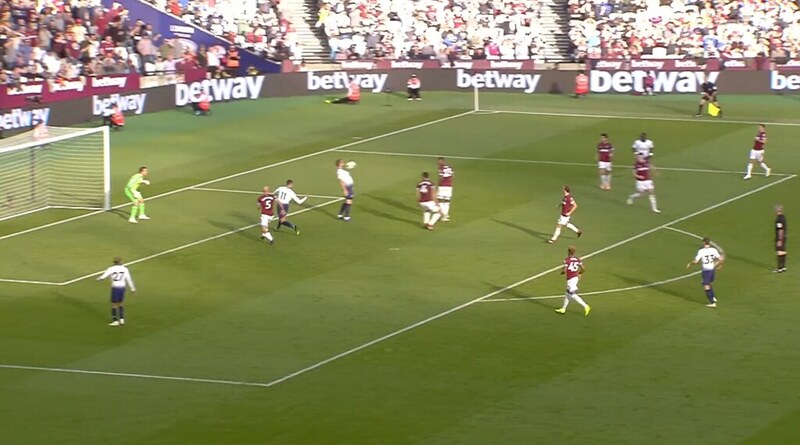 I have seen them given and it is hard to see how Kane is not interfering with play (he bends backwards to let the ball go past him) but it feels a bit like clutching at straws to me as the cross was clearly aimed for Lamella. I think the issue here is the rule itself, not the way in which Kane uses it to his advantage. He is actually one of the best in the game at using the offside rule to his advantage. He will often take up a position clearly offside and let play catch up with him. Makes him very hard to mark. 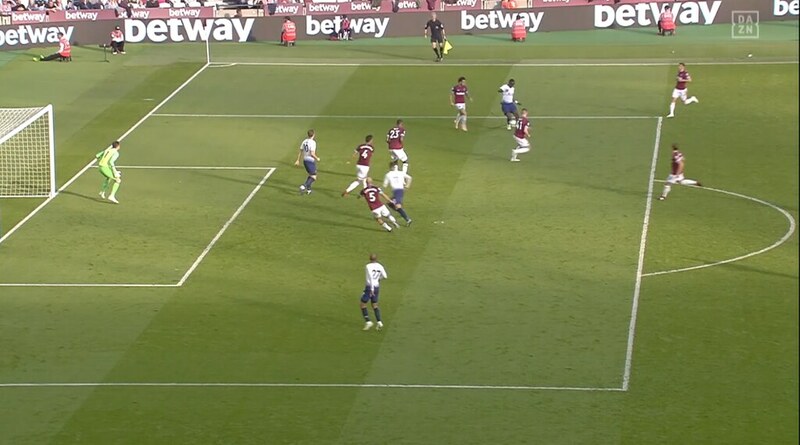 It was a cleverly worked goal all within the new offside rules [ I think ] - Initially it looked offside until I remembered that a player isn't offside anymore when he's in an offside position . I really don't know how defenders are suppose to cope with this new ruling . Since the Andrew Marr Show started at 10am . Bloody programmers messing with Old People's minds . Were the Tottenham fans in the ground watching a stream of the game or are they just a bit slow? There seemed to be a bit of a delayed reaction to stuff happening which I’ve not noticed with any other team before. aaronhammer wrote: Were the Tottenham fans in the ground watching a stream of the game or are they just a bit slow? There seemed to be a bit of a delayed reaction to stuff happening which I’ve not noticed with any other team before. Crouchend_Hammer wrote: There is a clear witch-hunt against Antonio now on here. When you single out a player who only played 20 mins and actually did pretty well in that time it is clear people's opinions are just herd mentality. He came on and was direct. He beat Trippier a few times and also used the ball well.A number of his crosses were just cleared by Spurs defenders. He linked up well with Creaswell (whose crossing was absymal). He did beat his man on a few occasions with raw speed which was encouraging but his final pass into the box was very poor. I sat behind the goal that we was attacking for the second half and he needed to pick out his man instead of just hit and hope. Well the fact he beat his man was more than Anderson could do. At the end of the game when Spurs have a lot of men back it isn't that easy to pick out our attackers, especially as we don't have much in the way of midfield runners. All his crosses got delivered i the box and most led to a last ditch clearance or at least the defenders having to be alert to deal with them. On another day one of those falls nicely for someone.